November 2, 2003, a routine real estate auction in Kansas City, Missouri, north of the river, featured the sale of a rambling style house. 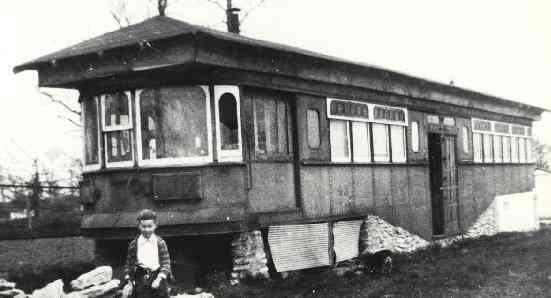 The auctioneer's brochure mentioned the house was built around a “railroad diner car.” In the layout of the house, this car was made into two bedrooms left and right of a center entrance. The above picture was handed down by the owners of the house through seven decades. 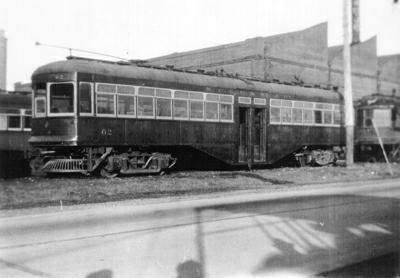 It is not a dining car, instead, it is a photo of KCCC&StJ Car 43, no longer a traction marvel but instead a 1930’s style house trailer. 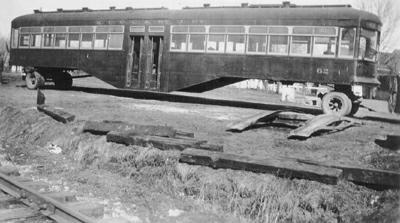 Cars were sold from the bankrupt railroad in 1934-5 and most were exposed to the elements as farmhouses, sheds, and businesses such as diners or motels. This Car 43 was covered with a roof adding protection that increased over the years with later additions to the house. 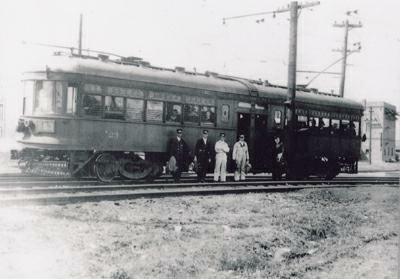 This keepsake photograph shows what is the most perfectly preserved KCCC&StJ rail car to date. The young man in the photo is unknown, but Car 43 has now been found. Yet, for all we know at this time, the car may remain inside the house teasing rail history fans for another generation. The following thumbnails are links to larger picture files. Select the photograph you would like to see enlarged. 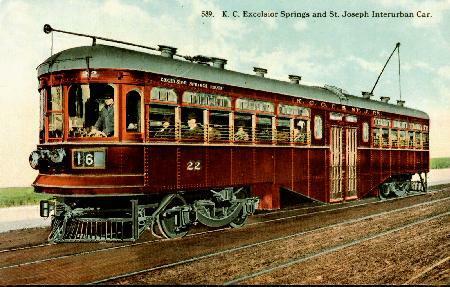 This postcard labels the KCCC&STJ as the "Excelsior Springs Route" - which was one of the nicknames of the railway. Postcard courtesy of Ed Gentry. 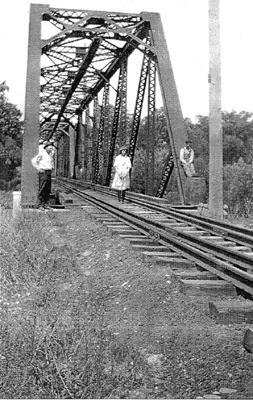 In 1918, these three wait for a car at the interurban bridge. Photo courtesy of Bill Chestnut, Gooseneck Bend. 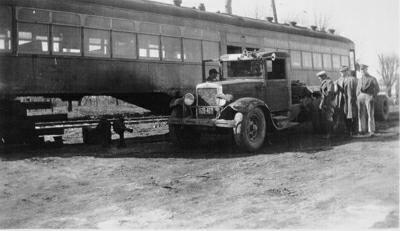 An Interurban coach and it's two crews in North Kansas City. 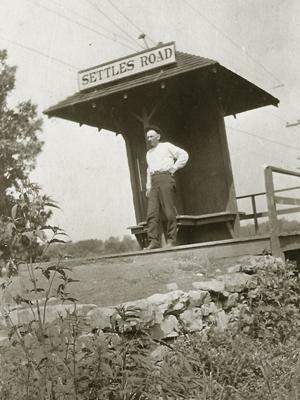 Photo courtesy of the Platte County Citizen. 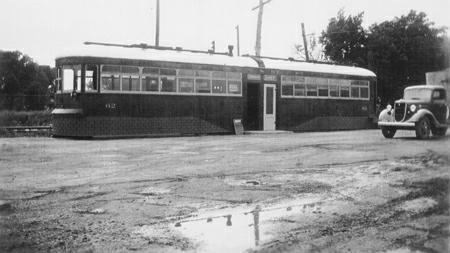 Interurban Car 62 was bought by Paul Wyatt in 1934 and moved to Belton, MO, where it became the Crimson Diner on new Route 71 until 1960. Photos courtesy of Paul Wyatt. 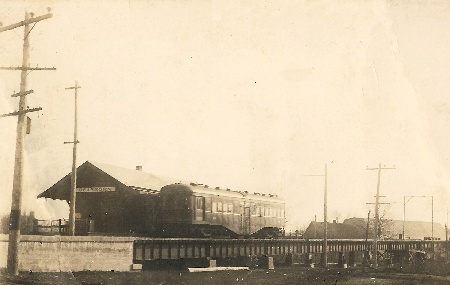 One of the more elaborate depots at Dearborn, Missouri. Photo courtesy of Lu Durham, Dearborn, Missouri. Settle's Road "waiting station" was more typical of the Interurban stops. 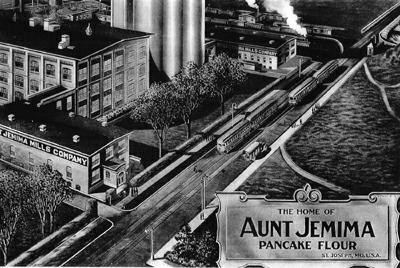 Entering St. Joseph on 11th Street the route passed the home of Aunt Jemima Mills. 1918 Reproduction courtesy of Bill Guenther, Art Crafts Engraving, St. Joseph, Missouri.